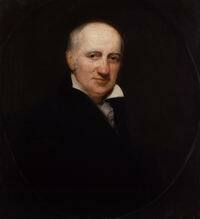 Birth of William Godwin (1756-1836), British journalist, political philosopher and novelist, considered to be the first modern proponent of anarchism. 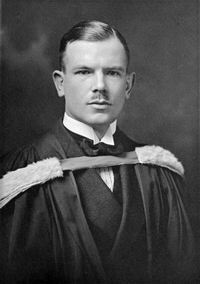 Birth of Norman Bethune (1890-1939). A Canadian doctor and Communist, Bethune developed the first mobile blood-transfusion unit while serving with the Mackenzie-Papineau Battalion in the Spanish Civil War. He subsequently went to China and served with the Communist forces fighting the Japanese invaders. Henrietta Leavitt, an assistant at the Harvard College Observatory, publishes a paper in the Annals of the Astronomical Observatory of Harvard College, revealing her observation that the brighter stars seem to have a longer period. After further study, she confirms in 1912 that the Cepheid variables with greater intrinsic luminosity do have longer periods, and that the relationship is close and predictable. Her groundbreaking discovery allows scientists to measure the distances of far-away galaxies and to determine the size of the cosmos. She is considered for a Nobel Prize, but her death of cancer at the age of 53 means the nomination cannot go forward, since the Nobel Prize is not awarded posthumously. Russia’s Soviet government signs the crushingly one-sided Treaty of Brest-Litovsk with Germany, in order to avoid continued German invasion and occupation of even more of its territory. In the treaty, Germany forces Russia to give up huge amounts of territory, containing a quarter of the former Russian Empire’s population, a quarter of its industry, and nine-tenths of its coal mines. The treaty remains in effect for only a few months. In the 11 November 1918 Armistice with Germany that ended World War I, one of the first conditions was the complete abrogation of the Brest-Litovsk treaty. Following the German capitulation, the Russian legislature annuls the treaty on 13 November 1918. In the year after the Armistice, the German Army withdraws its occupying units from the lands gained in Brest-Litovsk.